Alisson Becker has vowed to learn from the mistake that led to him conceding the first goal of his Liverpool career. The goalkeeper hesitated after receiving Virgil van Dijk’s mis-directed back-pass midway through the second period of Saturday’s match against Leicester City, allowing Kelechi Iheanacho to steal possession and square for Rachid Ghezzal to score. Ultimately, that incident did not prevent the Reds from picking up a fourth consecutive victory at the start of the Premier League season, with first-half strikes from Sadio Mane and Roberto Firmino proving enough to earn a hard-fought three points. 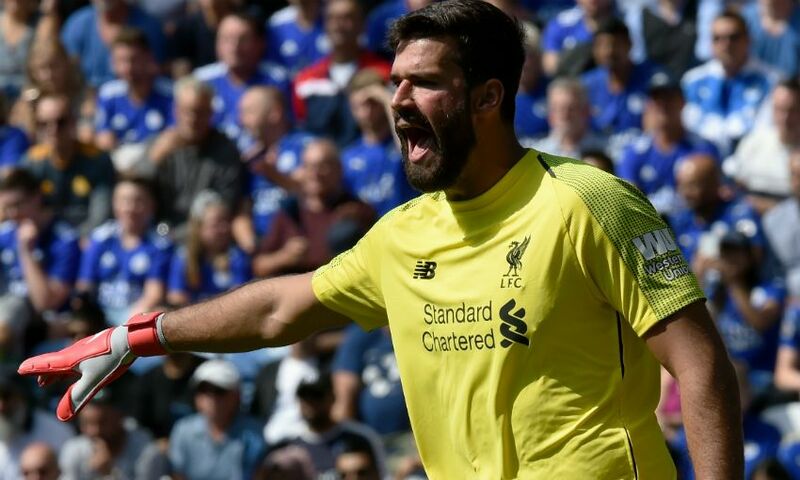 Alisson, though, insisted he will strive to avoid similar errors in the future after accepting culpability for the Foxes’ goal. “I am angry that I made a mistake that put the team in a difficult situation,” the Brazil international told ESPN Brasil.